Depression is painful. Ruminating thoughts, lethargy, and increasing alienation from others create a negative internal and external environment. Those symptoms actively interfere with carrying out basic demands of daily life. While depression is one of the most common mental health disorders, there are different causes. Treatment options run a gamut that includes new technologies to directly affect brain activity, advances in stress management, improved tools to relieve the impact of childhood trauma and focus on developing resilience. How does a therapist know where to get started in the treatment? 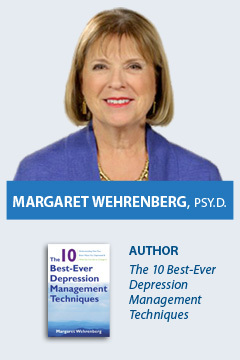 In this seminar, identifying four different kinds of depression, you will master 10 strategies to jump start therapy and provide immediate relief of symptoms. You will be able to set the stage for longer term recovery. A look at the interaction between neurochemistry and cognition function and lifestyle to explore the 4 types of depression. A specific look at how neural networking affects the development and recovery from depression. Techniques that energize the lethargic mind and body of the depressed client. Identify and cool down burnout, including a look at work addiction. Ending isolation, balancing life activities, and preventing destructive behaviour. Broadening the perspective of the depressed mind and learning to live more fully. These techniques will focus on new ways to open the mind to possibility and will look at building positive circuitry in the brain that will enhance the long term recovery of depressed clients.